We love adding a personal touch to our Christmas presents, either by making a homemade gift or by using personalised christmas wrapping paper and tags (or even both). 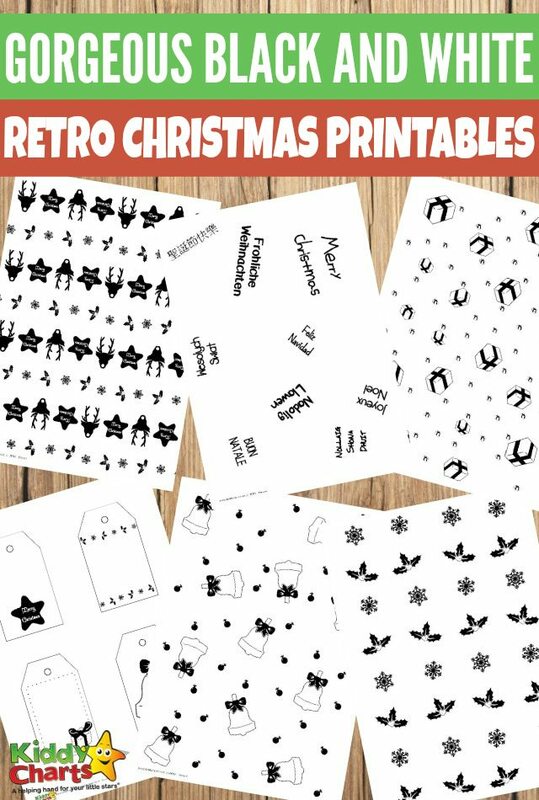 This year we are giving you something a little different – some retro black and white Christmas wrapping paper printables; to make those gifts a little different. You can either use them for the adults to give that wrapping a little something special, or you can pass them to the kids. They’ll decorate them for you, and there is nothing like a child’s time, and imagination to make a present extra special. 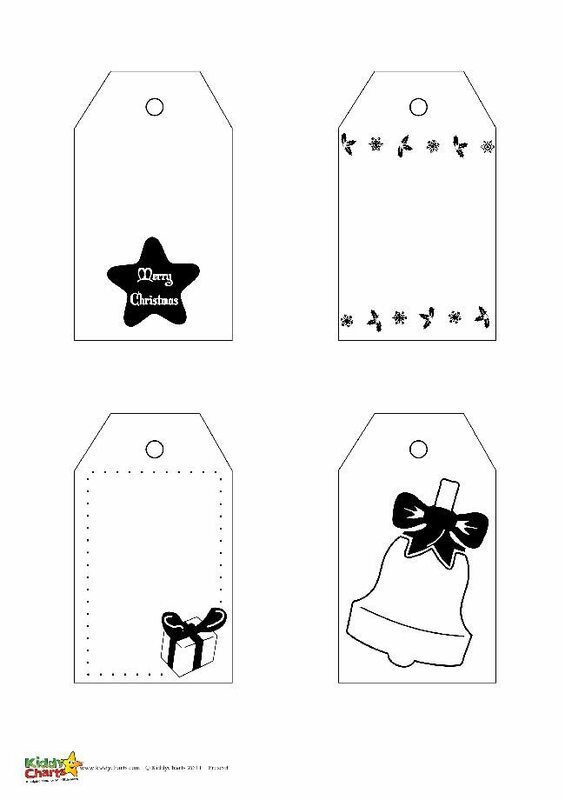 As a gift is not complete without a gift tag, we’ve got some of these too – perfect for the kids to decorate, or to be used vintage-style. Get the kids to colour in with their favourite colour, or just wrap them as they are. You can really get creative here as you can colour each of the presents differently; or just leave it for a really special black and white cover for your presents. 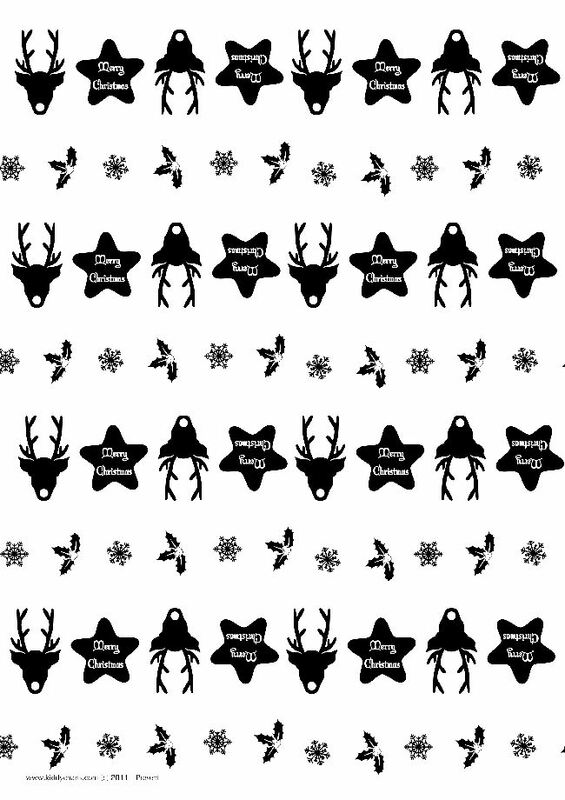 All your favourite festive characters in one place. Really love Christmas? 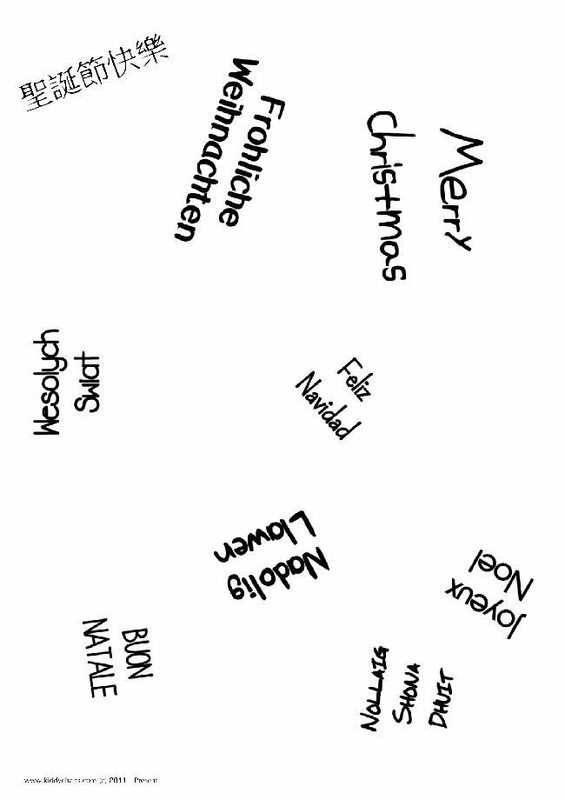 Why not wish Merry Christmas in many different languages with this wonderful Christmas wrapping paper printable. 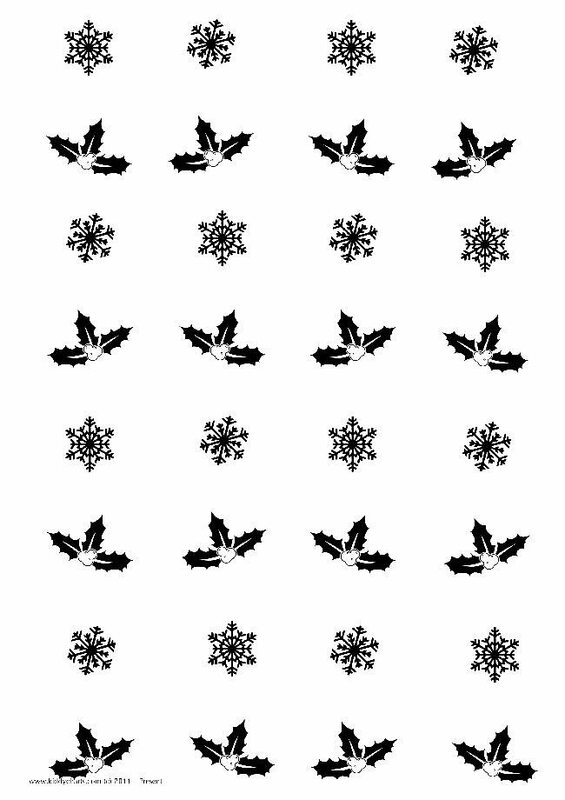 Last, but not least, is this gorgeous set is the paper holly and snowflakes wrapping paper. 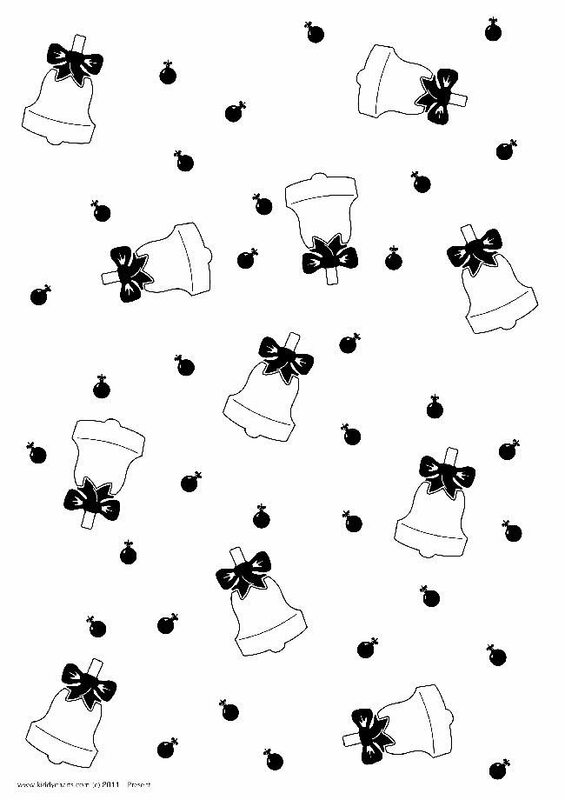 You can download these gorgeous black and white printables here. 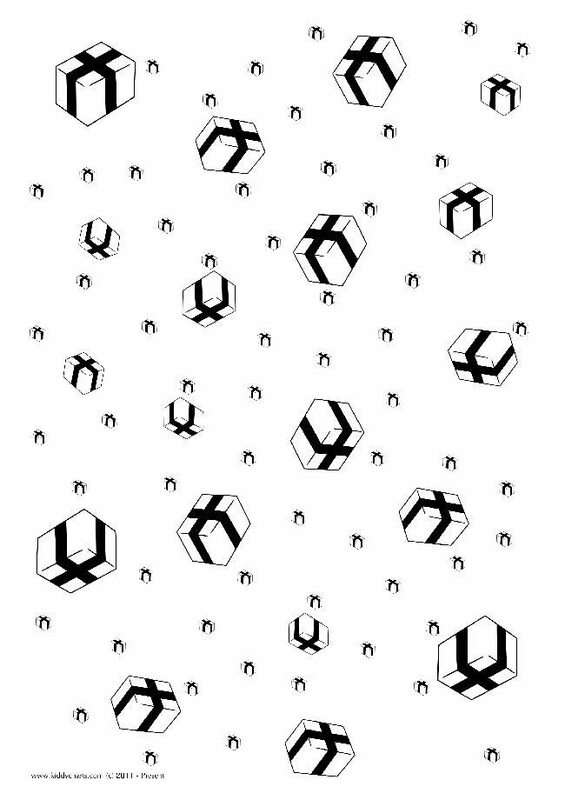 Alternatively, download the one you want by clicking on the image. Do check and follow us on pinterest. 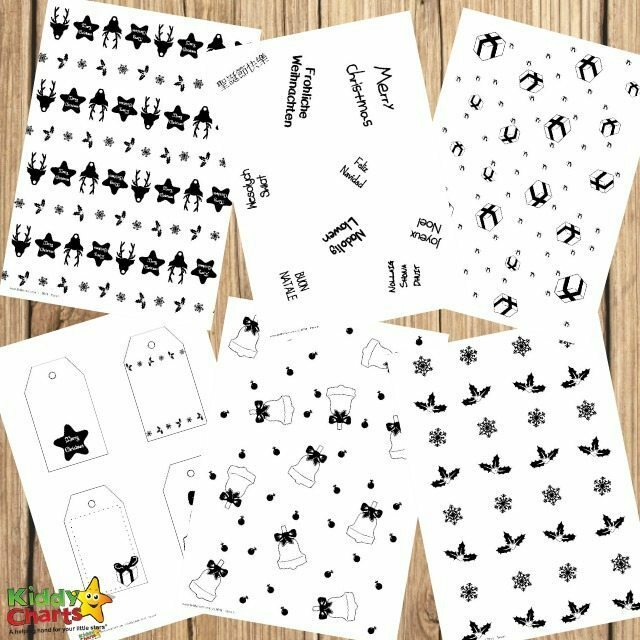 We have quite a lot of lovely and free printables so you can keep your kids busy for hours and hours and do sign up for our newsletter too, so that you don’t miss out on the other great ideas and freebies that we have for you.